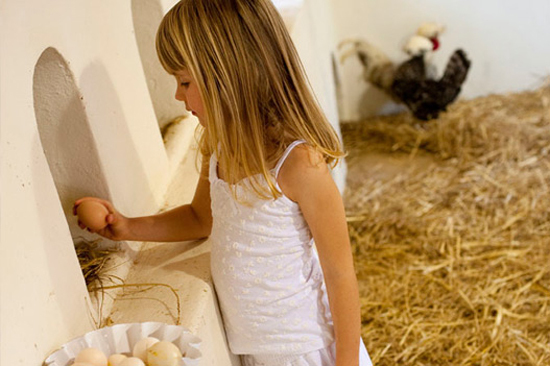 Collecting fresh eggs every morning is one of the daily rhythms on the farm, something that the children enjoy helping with. Handing over their morning find to the chef and watch him transform it into breakfast is one of the highlights in their day. A few months ago we noticed that some of our permanent residents, the Australorps, are enjoying farm life a little too much and became pretty lazy in the egg-laying department. 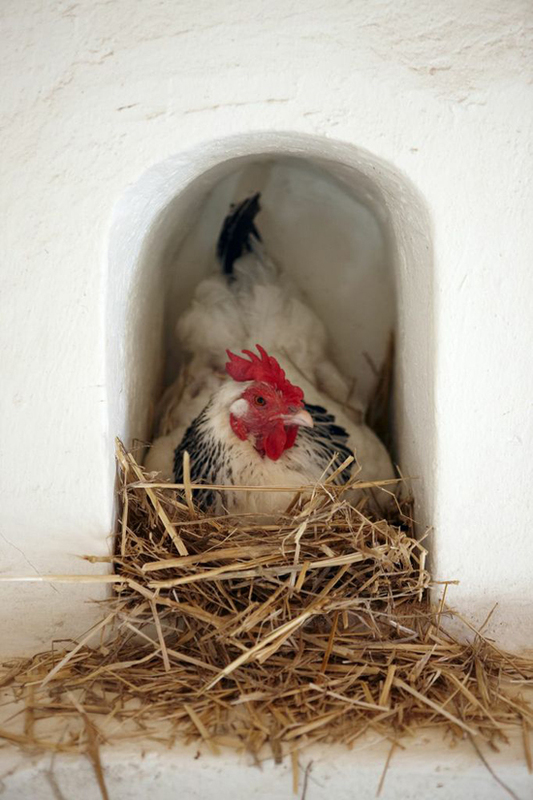 It took some research until one of our beloved gardeners decided that a chicken gym is needed. A bunch of fresh green leaves, either spinach, kale or lettuce gets tied to a rope that hang slightly higher than the chickens. 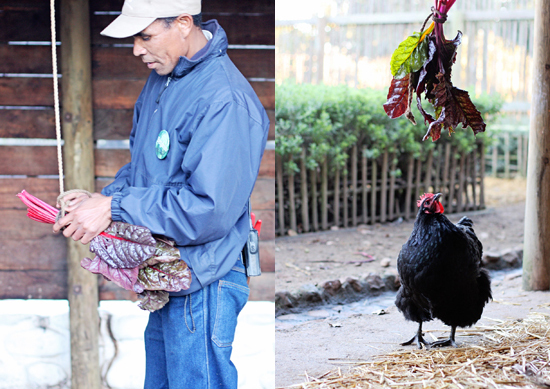 This way the chickens get their much-needed daily exercise, doing little jumps, while enjoying some fresh salad. We are happy to report that the egg-laying department is in full production again. I love your chickens! When we have friends or family visit, I take them for a stroll in your gardens – they all love every moment of their visit. Hi Juli. Thank you for your kind words and so happy that you had a wonderful time with us. Great Article as usual. 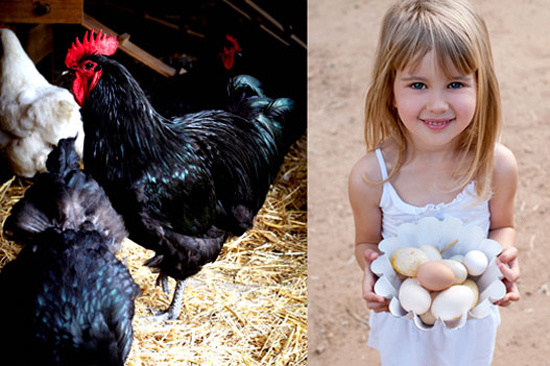 I just wanted to point out anyone interested in chickens may want to consider http://www.benedictsfarm.com/ for coops and beginner guides in addition to the other links above. Bought one recently for the family and very pleased with it.